Here at Mission Imblogable we are passionate about responsive design - so be honest, how many of you have a website which is optimised for mobile? For those that don't, where have you been? You better get a move on and make your site mobile friendly. 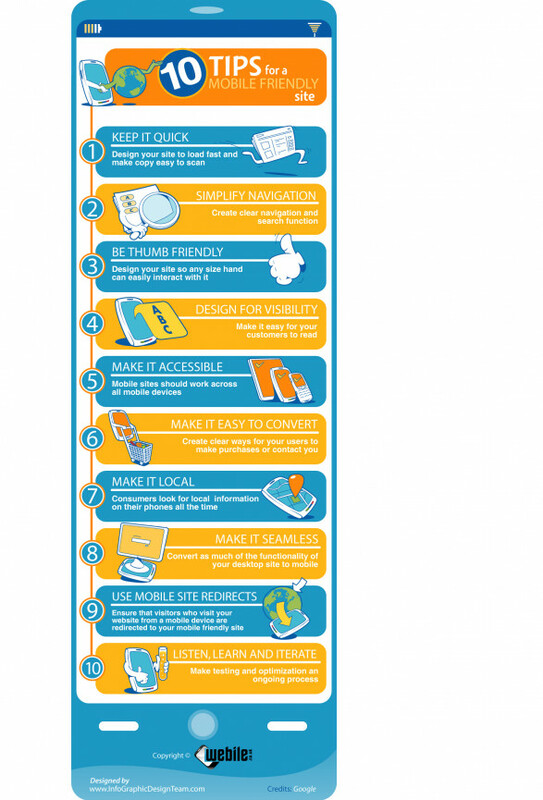 It's no secret that the mobile web is growing, so here's an infographic which outlines the 10 tips for a perfect mobile website. How does your mobile site score on this checklist?